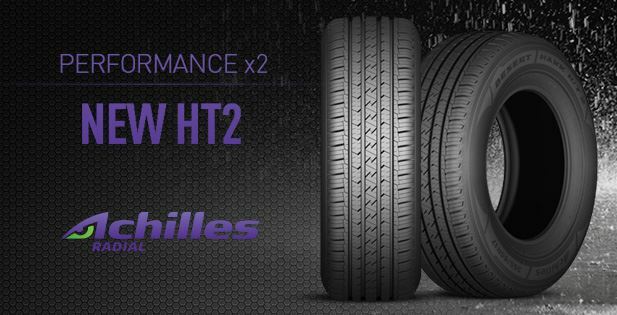 New Achilles HT2 Highway Terrain Tyre. Provides strength and stiffness for outstanding handling during cornering. Superb water channeling, improved wet traction and reduced hydroplaning. Delivers straight line stability to improve handling. Enhances directional stability and cornering performance. Improves fuel efficiency and wet traction.